කොටින්ගේ දේශපාලන පෙරමුණ වන TNA කල්ලියේ මන්ත්‍රී එස්. යෝගේස්වරන් විසින් මරක්කල අපේ මව් රට වන සෞදි අරාබියාව හැඩි දෙමළුන්ගේ හිතවතුන් නොවන බව කියා තිබුණි. මොන නිර්භීත කමකට තෝ මෙසේ කිව්වාදයි තුන්කාල් පකෙක් වන මම අසමි. තෝ දන්නවාද? බඩ යන්න කාපු තොපේ LTTE හැතිකරයෙන් බහුතරයක් රටින් පැනගත් පසු බටහිර රටවල ආරක්ෂාව සොයාගත නොහැකි වූ තැන අපගේ ආදරණීය සෞදි මව් රටේ පිහිට පැතුවාද? උන්ගේ ම්ලේච්ඡකම සෞදියට ගැලපෙන ගුණාංග බැවින් ඔවුන් සියල්ලම එහෙට හොඳින්ම ගැලපෙන බව මරක්කල අපි දැන සිටියෙමු.ඒ අනුව ක්‍රියා කලෙමු. ගිහින් අහල බලපිය, විදේශ රැකියා බියුරෝවෙන් හෝ අපේ මරක්කල විදෙස් රැකියා පෙට්ටි කඩ වලින්. එවිට අපේ හම්බයෝ හොර ඩොකියුමන්ට් සාදා කොටි සල්ලි අතට ගන්න උතුරු නැගෙනහිර කොටි කී දාහක් සෞදියට පැටෙව්වද කියා තෝ දැනගනී. උන් දැන් අගේට සෞදි රියාල් හම්බ කරල ලංකාවටම එරෙහි තොපේ ලෝක කොටි ඩයස්පෝරාවට විතරක් නෙවෙයි තම තමන්ගෙ ගෙවල් වල කොටි දෙනුන්ට කොටි පැටවුන්ට කිරි පෙවීමට එවනවද? ඔවුන්ගෙන් කී දෙනෙක් තොගේ මඩකලපු දිස්ත්‍රික්කයේ පමණක් ඉන්නවද? සෞදියට උන් කොටි කියල මෙලෝ හසරක් නැතත්, මරක්කල අපේ මිනිස් ජාවාරමේ පිහිටෙන් අද උන් හොඳ ජීවිත ගෙවනව නොවේද? මේ හැඩි දෙමල හැතිකරය, අපේ හම්බ මරක්කලයෝ, ලිංගික වහලියන් වශයෙන් යන ලංකා සිංහල ගෘහ සේවිකාවන් දූෂණය කරගෙන යස අගේට එහෙ ඉන්නෙ නැතිද? අපේ ආදරණීය සෞදි මව් රටට මුන් කොටි බව අපි යන්තම් හෝ කිව්වා නම් උන්ට එහේ ඉන්න ලැබෙයිද? 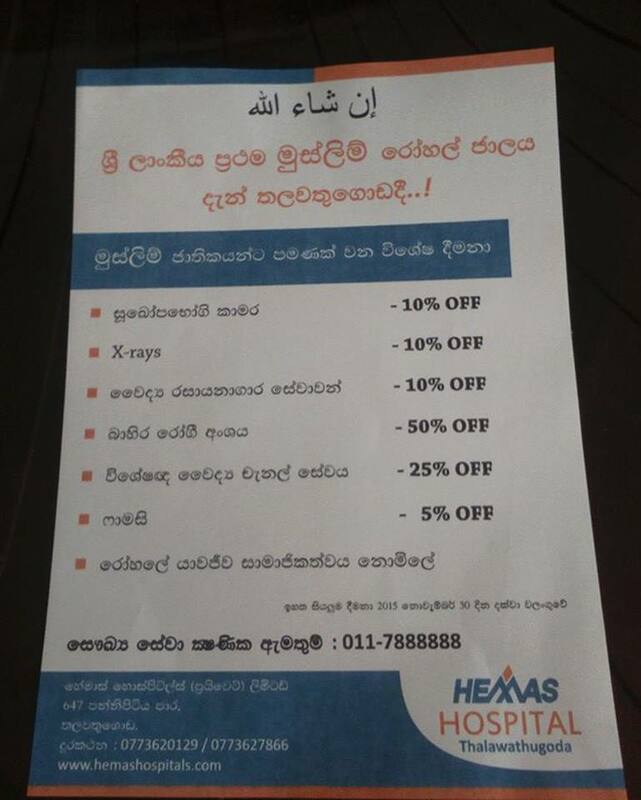 ජොබ් ලැබෙයිද? තෝ කිව්වා සේ සෞදියේ ජාතිවාදය හැඩි දෙමළ තොපිටයි , සිංහල හැත්තටයි විතරක් නෙවෙයි, හම කළු නිසා මරක්කල අපිටත් උන් පානව. අපි උන් වගේ සුදු හම නෑනෙ. මොන වේෂ ගතියකට හෝ අල්ලා ඒ තෑග්ග අපිට දීල නැති නිසා අපි පහත් බව හම්බ අපි දන්නව. ඒක අල්ලාගේ නොවරදින කැමැත්ත. ලංකාවට එරෙහි හැඩි දෙමල තොපේ එක්සත් ජාතීන්ගේ කුමණ්ත්‍රන වලට අපේ සෞදි වේශ අම්මා හා මැරපෙරදිග වලත්ත රටවල් සෙට් එක විරුද්ධ වීම නිසා තොට මල පැන ඇති බව පෙනේ. අපේ බලුකම් නෝන්ඩි වී මේ රටේ සිංහලයන් ඒවා නිවැරදි කර ගැනීමට කෑ ගසන අස්සේ පවා සෞදි හා මැදපෙරදිග අනෙක් වේශ රටවල් අපේ කේලාම් නොසලකා එසේ කිරීම අපිවද මහත් අමාරුවේ දැමීමකි. ජාත්‍යන්තර ඉස්ලාම් වේෂකම් කොහොමද කියල මේවලින් අපි තේරුම්ගත යුතුයි. මේවා වලට පිළිතුරු ලෙස වෙනම හම්බ දිස්ත්‍රික්කයක් අපි රජයෙන් ඉල්ලුවේ මේ නිසයි. ඒ වැඩෙත් චාටර් වෙලා ගියා නොවේද මගේ මිත්‍ර හැඩි දෙමළෝ? මේ රට පමනක් නොවේ මුළු ලොවම දෙස හොඳින් බලපන් , මරක්කල අපි මූණ වහන් ත්‍රස්ථවාදය වපුරන නිවට ජන වර්ගයක්. මෝඩ තොපේ කොටි වගේ නිළ ඇඳුම් ඇඳන් ආයුධ අතට අරන් සතුරාට අපි ටාගට් නොවෙන්නෙමු. අපිට තුවක්කු එල්ල වූ දාට අපි බඩ ගොස් මිය යන්නෙමු. වෙඩි තැබිය යුතු නොවේ. තොපේ කොටි ප්‍රශ්න වලට අපිව ඇද ගැනීමට වුවමනා නැත. අපේ කැත කලු පිරිමි මෙන් ගොරහැඩි රැවුල් සහිත ඉස්ලාම් බිරින්දන්ව ලිංගික වහලියන් කරගත්තත් අරාබි හැතිකරය අපේ අම්මා තාත්තාට වඩා අපිට ලොකුය. ඒ නිසා තොගේ ඔය බයිලා නවත්තගං. ලංකා මරක්කල අපි කල බලුකම් වලට මැදපෙරදිග අපේ මව් රටවලට අපහාස නොකරං. තෝ නැවත එය කලොත් අපිට ඇඬන බව සිතට ගං. AN OPEN LETTER TO TNA MEMBER OF PARLIAMENT FOR BATTICALOA S. YOGENDRAM IN RESPONSE TO HIS PARLIAMENT SPEECH ON 12.11.2014 REGARDING SAUDI ARABIA. By Noor Nizam – Peace and Political Activist,”Api Marakkalayo Sanvidanaya / Naam Muslim Iyakkam. TNA says Saudi not a friend of Tamils” Published in all media dateline in Colombo. How dare you say that Suadi Arabia is not a friend of the Tamils of Sri Lanka. Did you know that many of the LTTE cadres who escaped and could not seek asylum in Western countries and North America, managed themselves into Middle Eastern countries, especially Saudi Arabia. Go ask the Foreign employment bureau or Foreign employment agencies to know how many Sri Lankan Tamils from the North and East are presently gainfully employed in Saudi Arabia and or the Middle Eastern countries. How much of Saudi Riyals are sent to their families and extended families in Sri Lanka, including your electorate Batticaloa, as a result they are leading some what a comfortable life. These Tamil brothers and sisters live in harmony with the Sri Lanka Muslims and the Sinhalese who are mostly work colleagues with them. If the Saudi government had NOT allowed this expatriate employment facility for Sri Lanka, with out “RACISM” which you have uttered in parliament, what would have been their situation. Just because Saudi and or other Middle eastern countries voted in favour of the US sponsored UN resolution against Sri Lanka at the UNHRC last March, that maybe an issue to you. We Sri Lankan Muslims cherish that support, though a few Sinhalese are grumbling against the Muslims in Sri Lanka. We will definitely educate to make them understand us clear soon. We are a peace loving community and we do NOT wish to be dragged into your issues. The Arabs are our “brethren in Islam”. Please stop your “dam nonsense” from now onward attacking Muslim countries just for political pittance and gain in parliament. “Api Marakkalayo Sanvidanaya / Naam Muslim Iyakkam.